California's MRMIP (Major Risk Medical Insurance Program) appears to be on the Governor's chopping block for the next fiscal year (2017-18). 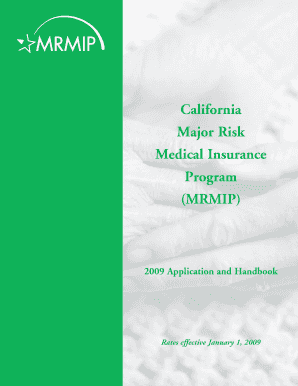 Colloquially referred to as "mister mip", the major risk program has been around for decades and has helped California residents who needed high risk coverage. "The Budget abolishes the Major Risk Medical Insurance Fund and proposes to transfer the fund balance to the newly established Health Care Services Plans Fines and Penalties Fund"